What are your adrenals, anyway? These tiny, triangular shaped glands sit on top of your kidneys and are responsible for creating and releasing hormones for helping you cope with stress (most notably cortisol and adrenaline). When you’re stressed, your adrenals release adrenaline (also known as epinephrine). The adrenaline increases your heart rate, contracts blood vessels, and dilates air passage ways to quicken your fight-or-flight response. You experience this as feeling suddenly super-charged, ready for feats of muscular strength and/or quick thinking. Your body quickly burns through your immediately available energy stores, lowering your blood sugar. Your adrenals release cortisol in combination with adrenaline to increase your blood sugar and increase the liver’s stores of glycogen in order to help your body return to homeostasis. If you experience prolonged, frequent, or intense emotional or physical stress and don’t have a diet which supports optimal adrenal functioning, you may experience adrenal fatigue when over-stimulation of the adrenal glands leave them unable to meet your body’s needs. Some other names for the syndrome include non-Addison’s hypoadrenia, sub-clinical hypoadrenia, hypoadrenalism, and neurasthenia. This means saying no to the hectic pace of modern American life and practicing stress-relieving exercises like yoga, prayer, or meditation. Too little sleep causes your adrenals to over-produce cortisol and adrenaline just to maintain normal bodily functions. By resting whenever you’re tired, your body will recharge energy levels naturally rather than relying on your adrenals to keep you going. Avoid Refined Sugars & Grains. When you eat refined sugars and grains, your blood sugar levels rise quickly. This prompts your pancreas to release insulin to sharply lower your blood sugar levels. After your blood sugar drops, your adrenals are forced to release cortisol to increase your blood sugar levels back to homeostasis. By keeping your blood sugar levels at more natural, even levels, you can save your adrenals a significant amount of work and help them perform optimally. Your body uses cholesterol to build hormones like adrenaline and cortisol. Without adequate amounts of cholesterol in your diet, you’ll experience the constant fatigue common to those who can’t produce adequate levels of cortisol or adrenaline. A high-fat diet will ensure that your blood sugar levels stay even, keep you feeling satiated, and improve your moods. All these things will allow your adrenals to function normally, rather than constantly requiring them to put out intense bursts of hormones to correct for your erratic blood sugar levels and moods. Remember to stick to the healthy fats mentioned in this post, and you’ll do fine. The stimulants in caffeine create artificial stress on your body, prompting your adrenals to release cortisol and adrenaline to help cope. Why give your adrenals the extra work? A diet unnaturally low in sodium or too high in potassium can stress the adrenals. That’s because one of the hormones your adrenals secrete, aldosterone, regulates the amount of sodium and potassium in the body. Desiccated adrenal gland from pigs and cattle can be helpful to some people in supporting adrenal function, and replacing some missing adrenal hormones. Be sure to get a reputable brand from a reputable supplier, to ensure quality, potency and safety. Check out the other posts in the Understanding The Keys To Health series! Hemp Oil & Hemp Seeds: Are They Safe? It’s interesting to me how the major aspects of our current lifestyle come together to create sort of the perfect storm of adrenal fatigue. .-= Shannon´s last blog post …Spring Clean Your Body With Real Food =-. Love this article. Very important as it ties how all elements of health effect one part of your body – your kidney. It seems as if any organ, muscle, bone, system, cell, or whatever it is is effected by all elements of health. Diet is only part of the answer to all problems. Too many people look passed sleep – they feel as if it is not necessary. Unfortunately for them they are wrong. Oh it’s funny to me just how important sleep is to our health! If I haven’t had enough sleep everything just goes it seems and no way can I concentrate on my studies. It’s the same with water. But how I love how when I have had enough sleep and water everything just works!. It seems like a miracle, but really i’m just giving my body what it needs! .-= Michelle (Health Food Lover)´s last blog post …Happy World Health Day 7/4/10: 1000 Cities, 1000 Lives =-. You’re back. Yay! Happy Easter. Thank you Kelsey! I’ve been moving not just to a new town, but also moving the site to new servers. Between both those moves, I’ve been out of commission for a couple of weeks. This is such an insidious problem to detect, since most of the symptoms can be confused with depression, or insomnia, or a number of other ailments. Timely post! I have gone from moderate-severe adrenal fatigue to a very mild case that is basically gone. I don’t even need coffee any more. I think Julia Ross’s amino acid therapy (from The Mood Cure) has been really helpful to me on many levels, and I would recommend someone with adrenal fatigue look in to that as well to help them start good habits. .-= Elizabeth @ The Nourished Life´s last blog post …The Milk Diet and Basal Temperature, Metabolism, Weight and More! =-. Apologies if you’ve already read the book-thanks for writing! I know I suffered from adrenal exhaustion for many years, and really, I don’t know many people who aren’t suffering from it. I haven’t drank coffee since my early 20s when I almost blew out my digestion from drinking 3 – 4 cups daily and then Pepsi in the afternoon. But I see so many people drinking coffee in the mornings and not eating much for breakfast. How do people really believe this is good for their health? I know they become addicted, but it just astounds me that they persist in this behavior and wonder why their health isn’t good. Anyway, I have experienced great return in health by eating a healthy diet loaded with real fats and I take the glandular products from time to time when I need them. I was on those products for quite awhile when I was just starting to recover from my stint in the SAD (which was for most of my life). I took Biotics and Standard Process, as well as Apex Energetics, and I can attest that these products are outstanding and really did the trick along with eating a healthy diet. I think a lot of people are brainwashed (for lack of a better word) with the whole “eating less, weigh less” mentality. They believe if coffee helps them eat less food (like skipping breakfast), then maybe it will help them weigh less and thus be healthier. Faulty logic, but a lot of people feel that way. I first began drinking coffee to try and keep up with eating less and exercising more (trying to lose weight), and the further I dove into dieting, the more coffee I needed. When I stopped dieting and over exercising I stopped needing coffee. I’ve had moderate severe adrenal weakness for several years & am finally making better progress in healing. I’ve never heard of the Amino Acid therapy & will look into it (always appreciate the resources!). The past few months, I have become more sensitive to EMFs, which has been odd to deal with. Eating healthier/reducing stressors has been a huge help! This is the first site I’ve seen that encouraged adding healthy fats to the diet for adrenals. Also, my chiropractor did some accupressure on the correlating glandular areas & by the next day, my brain fog (which has been terrible since I was about 8) has diminished almost completely! There are so many facets to the adrenal puzzle! I could not agree more that adrenal health is a very important issue. Although glandulars can be helpful, they are not something one should take long term. Whole glandulars are meant to be used as a “rescue” action for 3 to 6 months only. They are a temporay fill in for malfunctioning adrenal glands but do not restore proper function to the glands for the long term. Proper nutrition and other whole food supplements can restore proper function to the glands for long term health. Stress management and blood sugar management are also critical issues in maintaining healthy adrenal function. Practicing yoga does more that just relieves stress. It moves the body in a way that massages the endocryn system and your adrenals are part of it. Diet Coke ruined my Adrenals and Thyroid. I am slowly healing using a whole foods, real fat diet with exercise. .-= momzoo´s last blog post …He Carries a Purse =-. I enjoyed your post, Kristen! I feel like I suffered from adrenal fatigue for years. It’s truly a vicious cycle that is hard to break when we rely on caffeine and sugar to give us quick energy. (I easily become addicted to both of those substances.) I know that I feel much more “even,” sleep better, and am overall more energetic when I consume little to no sugar and caffeine. It’s just really hard to break the habit when I fall back into it. I am wondering why one of the symptoms of adrenal fatigue is having more energy in the evening. Do you know why that might be? I always figured my “second wind” was kicking in. It would be interesting to know the physiological reason behind it. I have also found that I suffer much less from “brain fog” now that I eat plenty of good saturated fats and cholesterol. .-= Ellen@BodyEarth´s last blog post …Worth a Closer Look: Sunscreen =-. The energy rush in the evening is due to cortisol levels. When you have adrenal fatigue, cortisol levels swing more than usual and sometimes have different patterns than a healthy person. That’s one reason why it’s important to go to bed before 10 pm if possible. Otherwise you might get another cortisol rush and end up staying up till 2 am. Those with adrenal fatigue need more sleep, so establishing healthy sleep patterns is an important part of recovery. Thank you for the explanation, Elizabeth! It’s really good to know about the different times for a cortisol rush and the need to get to bed early. .-= Ellen´s last blog post …Worth a Closer Look: Sunscreen =-. Thanks for posting about this. So informative! I have most of those symptoms a lot of the time. I’m a high school teacher, so it’s hard to know if the symptoms are from the stress of that every day or if I really do have adrenal fatigue. Recently I have cut out all refined sugar and carbs, so hopefully that will help. I almost always get 8 hours of sleep and I’m working on the yoga and prayer. I’ll work on the other suggestions too. Thank you again for the suggestions! We’ll see! 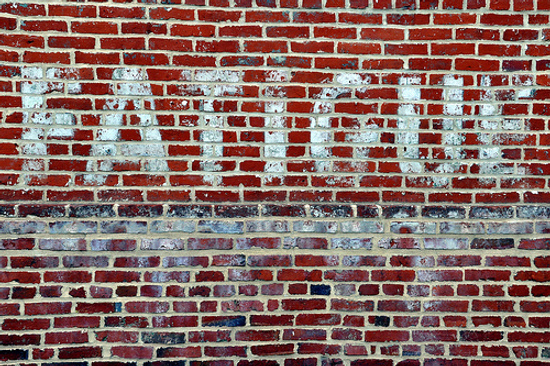 Thanks for the post on adrenal fatigue. I like that you pointed out eat more fat and cholesterol. One of our main hormones is pregnenalone which is the parent hormone to cortisol, DHEA and the like. Getting sleep it huge as well. Good post! .-= James´s last blog post …Will’s Wisdom =-. Great post! The book “Are You Tired and Wired?” by Marcelle Pick is a must-read for learning more about adrenal health. She is the co-founder of the Women to Women Clinic in Yarmouth, Maine. I’m going to try out her suggestions for lifestyle and diet changes. She even includes a 30-day Eating Program with recipes. Your article was helpful in helping me figure out what I am experiencing with the craving, fatigue, thirst and others issues.